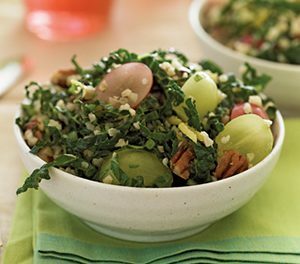 Grapes are a smart choice to keep on hand for healthy snacking and eating, and the vibrant colors and flavors bring extra life to a basic protein – such as chicken. 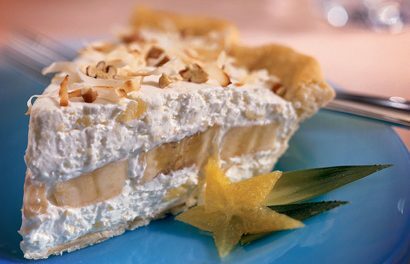 For a unique twist on a main dish, dressing up chicken with an addition like fresh grapes is as elegant as it is delicious. 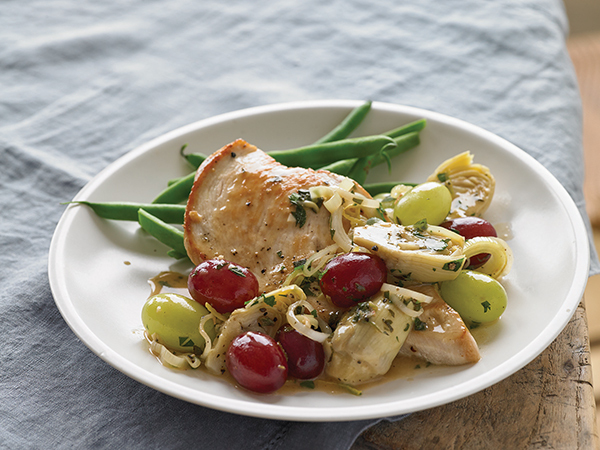 This Seared Chicken with Grapes and Artichokes is a great example. Season chicken breasts with salt and pepper, to taste. In saute pan over medium-high heat, heat 1 tablespoon olive oil. Add chicken breasts and sear 3-4 minutes per side. Remove chicken and set aside. Add remaining olive oil to pan, along with garlic, leek and pinch of salt; cook on medium heat 2-3 minutes to soften leek. Stir in oregano, artichokes, wine, chicken stock, lemon juice, lemon zest and butter. Simmer 2-3 minutes then add chicken back to pan, basting each breast with sauce. Add grapes and simmer 3-5 minutes, or until grapes are just soft and chicken is cooked through.